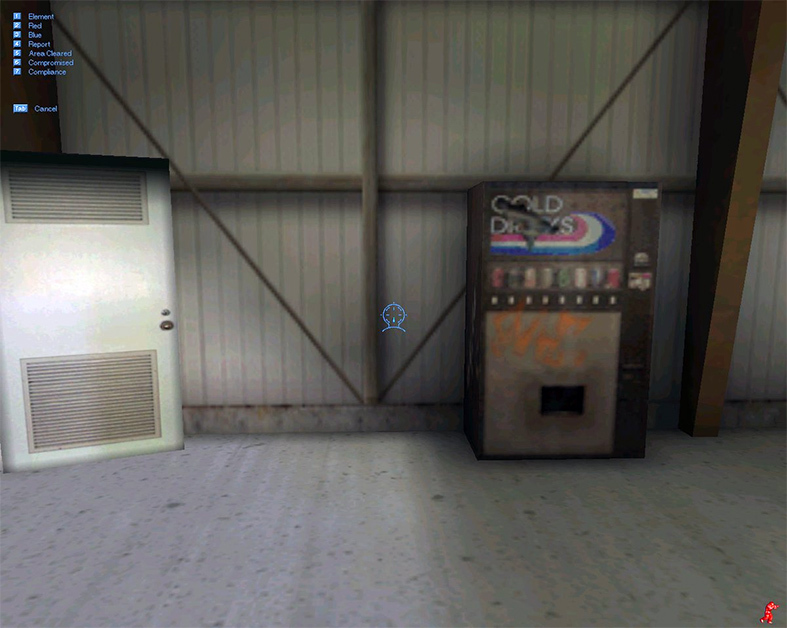 As soon as I found out there were soda machines in SWAT 3: Tactical Game of the Year Edition, I rapidly deployed DarthHelmet86 and Newman. 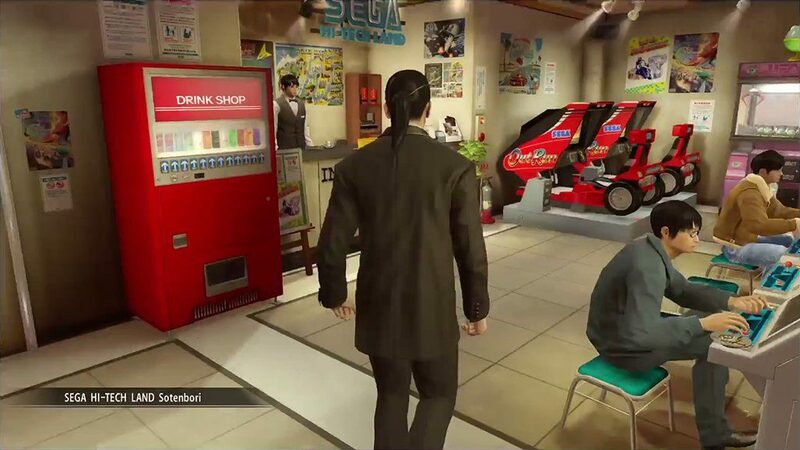 They came back from the operation with these screenshots. 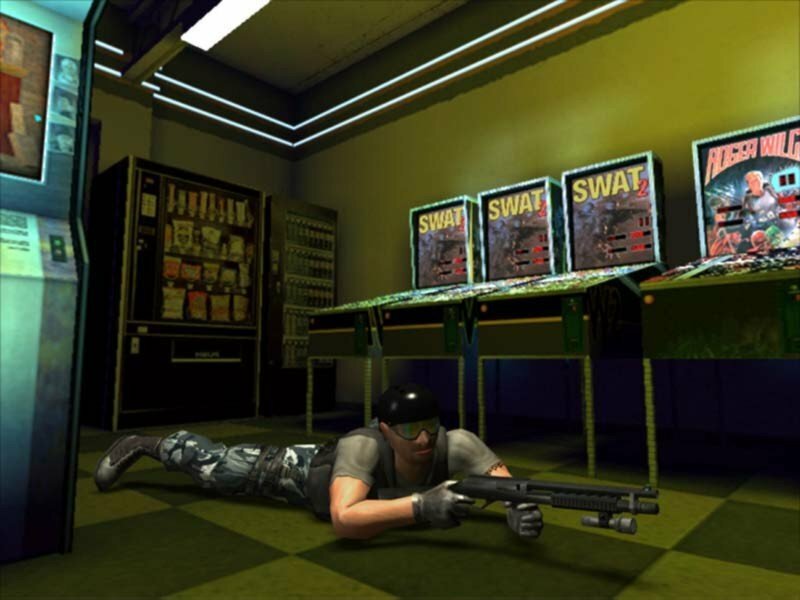 SWAT: Global Strike Team is a PS2/Xbox spin-off from the main Police Quest/SWAT series. 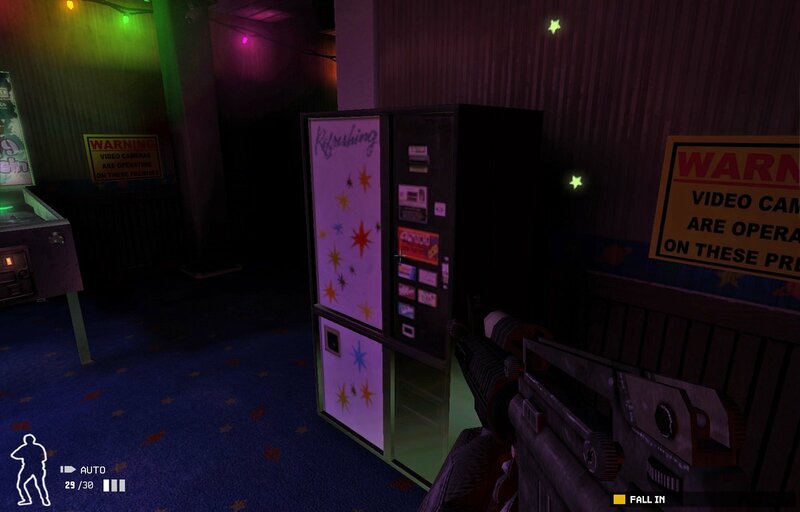 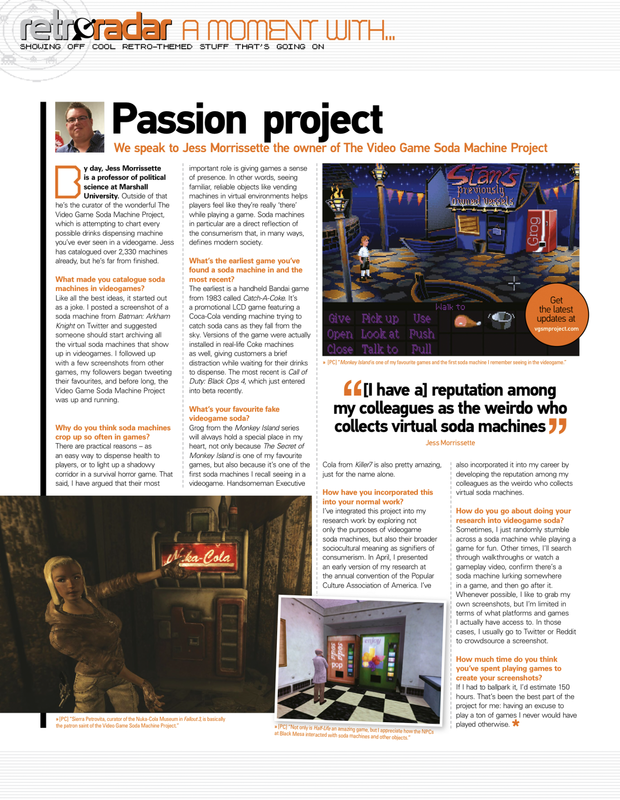 In this scene, I’m trying to figure out how to use the D-pad to order my squad to stand this Whizz Pop machine upright. 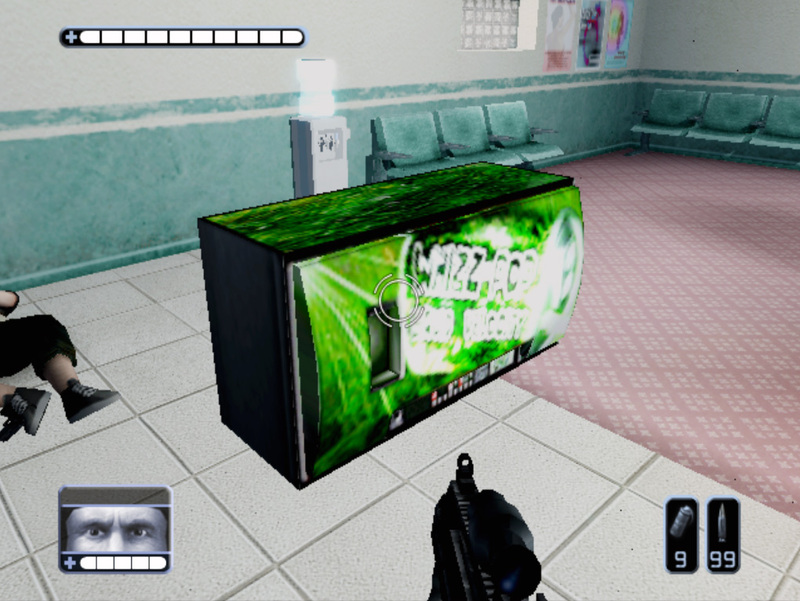 It’s a little known fact, but SWAT actually stands for Soda/Water Acquisition Tactics. 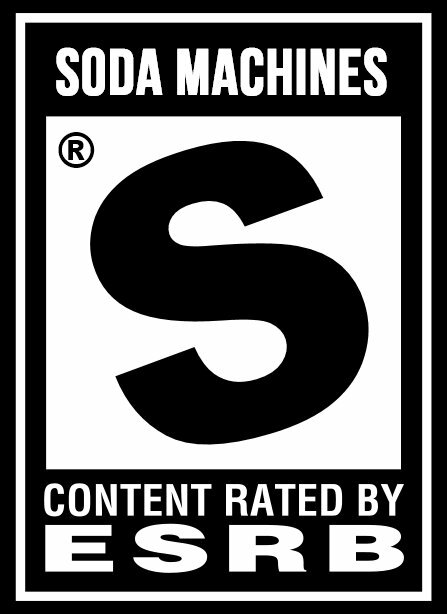 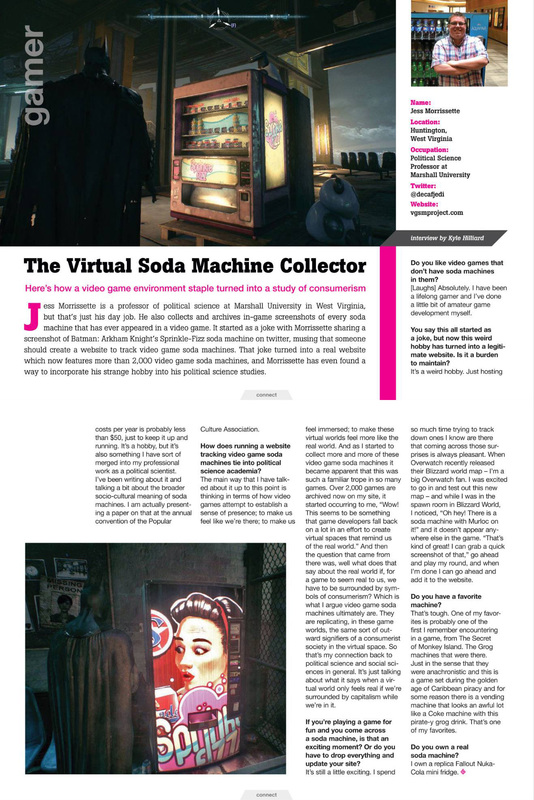 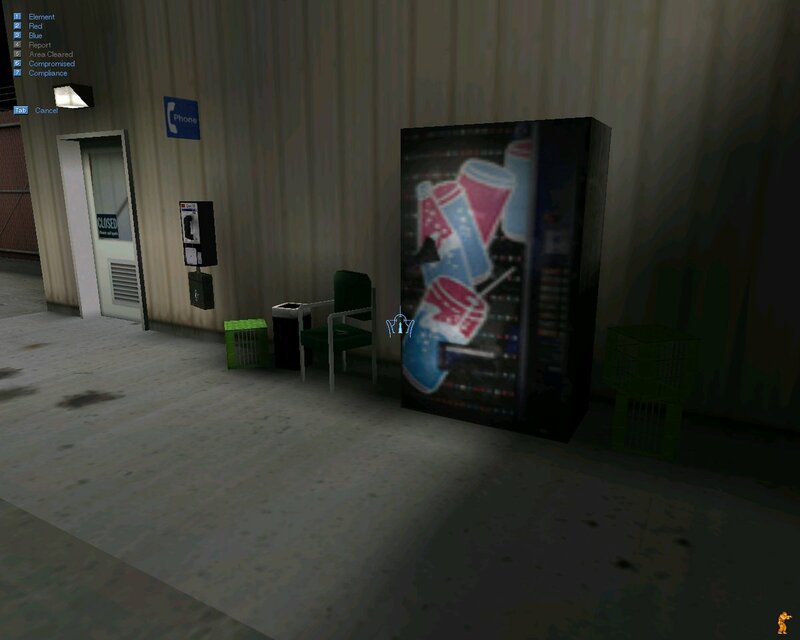 In this case, I’ve tactically acquired screenshots of some soda and water vending machines in SWAT 4’s expansion, The Stetchkov Syndicate. 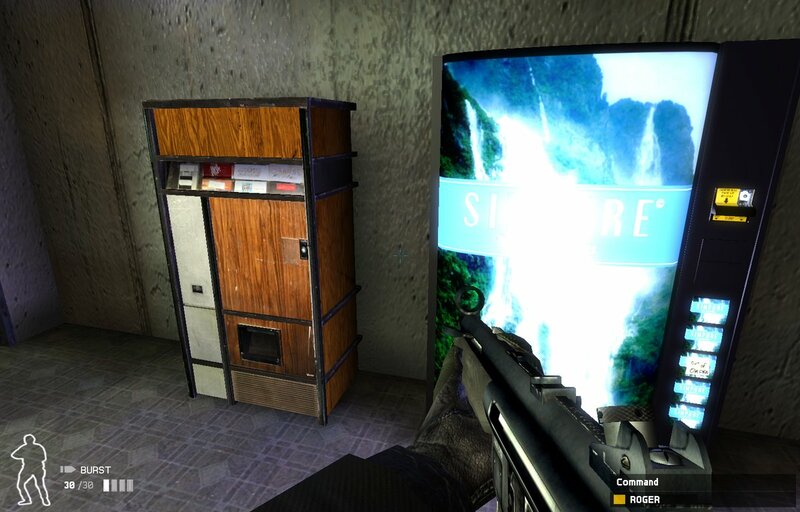 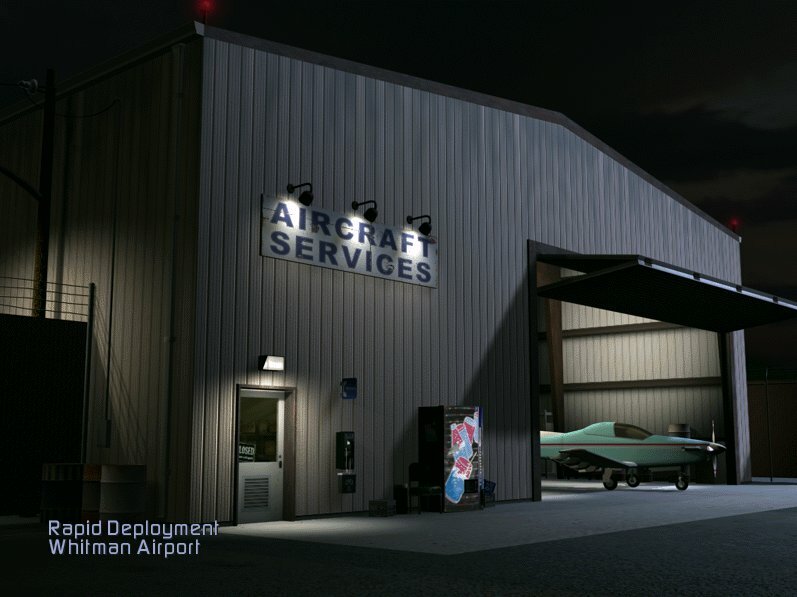 Hey, we’ve got a soda machine and a Space Quest Easter egg in this shot from the cancelled SWAT: Urban Justice!